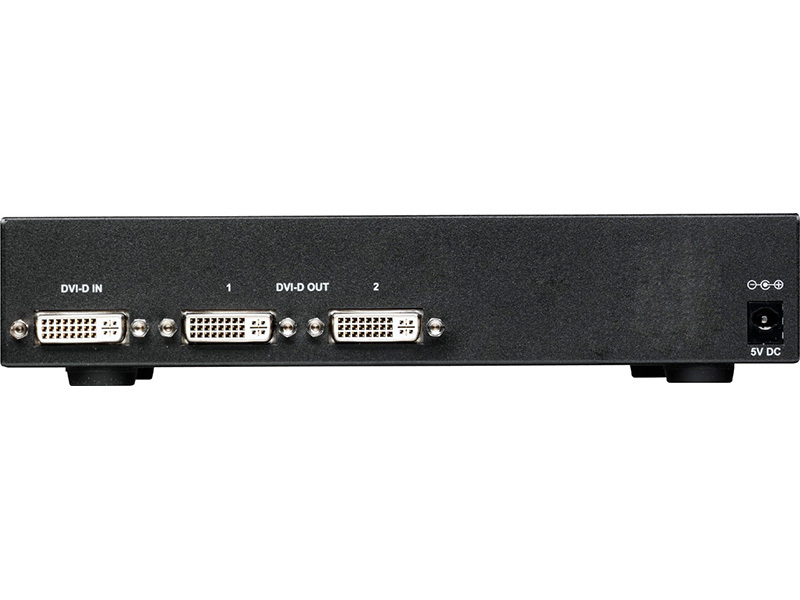 1T-DA-552 DVI-D Distribution Amplifier provides 2x DVI outputs from a single DVI input for distribution to devices capable of receiving and/or displaying such signals. 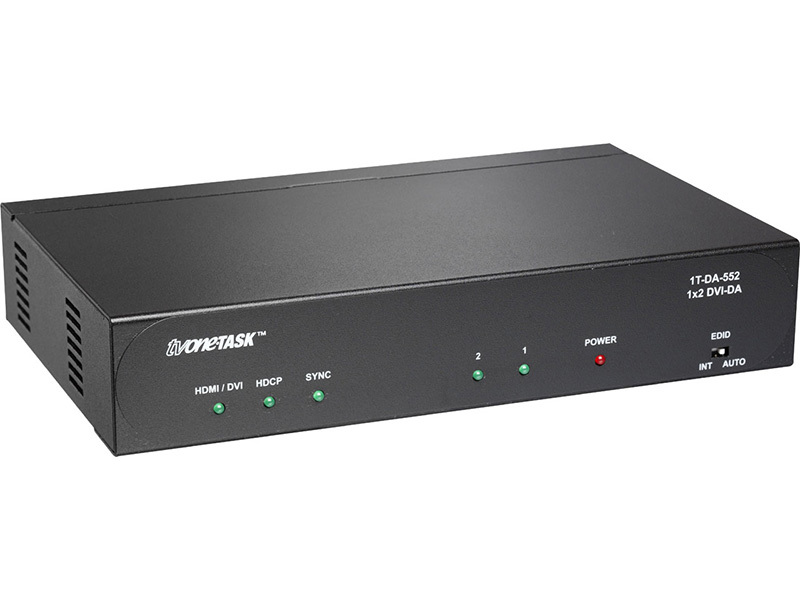 The 1T-DA-552 is compliant with HDMI v1.3 specifications and provides a cutting-age technology that supports Deep Color (10-bit and12-bit) video plus new, lossless Dolby TrueHD, Dolby Digital + and DTS-HD Master Audio digital audio. 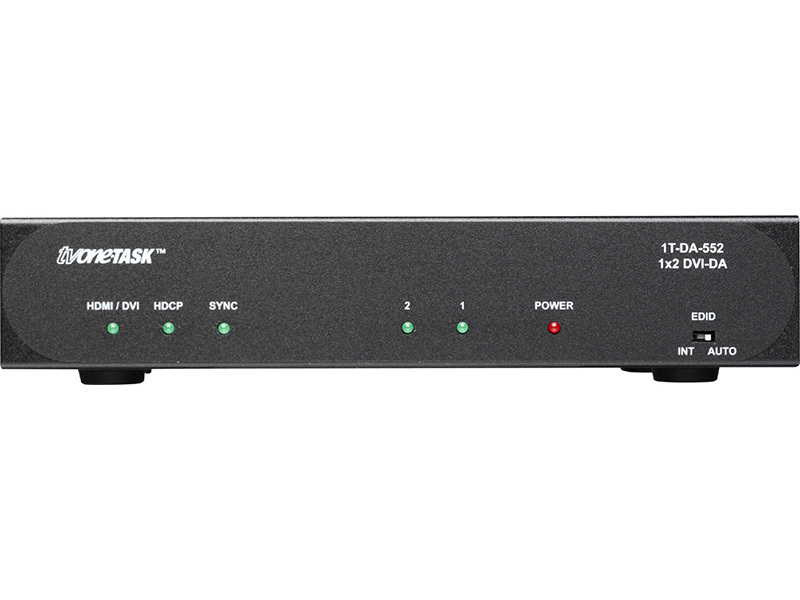 In addition, it exhibit high bandwidth (up to 225MHz - 2.25Gbps) and provide signal amplification and equalization for high performance processing of audio and video allowing the signals to travel great distances without quality loss. A front panel switch allows the EDID reference to be selected from either a connected display on a priority basis or from an internal resolution look-up table. All DAs can also be cascaded for expanded functionality and all DVI Distribution Amplifiers can function as HDMI Distribution Amplifiers using cable adapters.